So, while trolling through Netflix, I came across this anime that I had passed up the first time, and was kinda intrigued about. I put it on the back burner, but it kept up popping up as recommended. 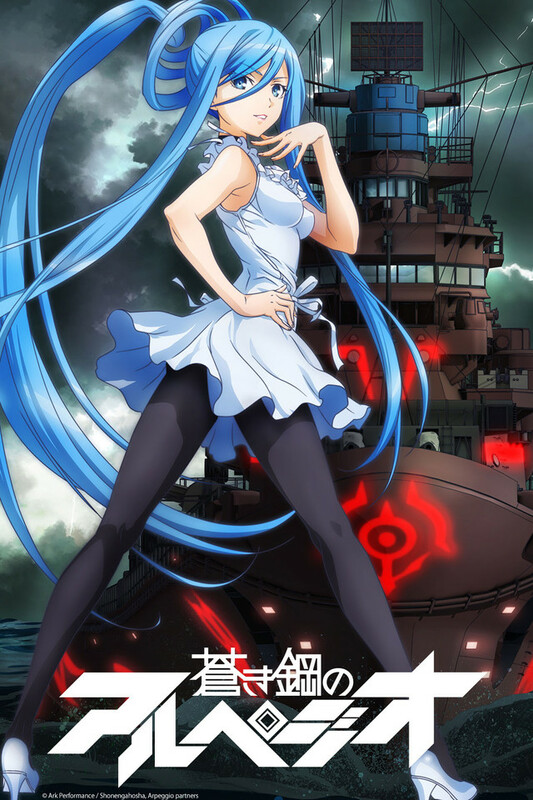 Finally I did some looking, and the best review I saw for it was, "What Kantai Collection wishes it could be." Huh. Tossing it in, I discovered a very nice sci fi story and some decent Nautical knowhow, which is kinda topical considering what I used to do for a living. Overall, I found it decent, but check out my review, and see if you might not be convinced to give it a go as well. SANTA MONICA, CA (December 16, 2013) – Anime fans will be delighted to hear that Aniplex of America has recently launched an exclusive online shop called the Aniplex Special Store (AniplexUSA.com/specialstore). The Aniplex Special Store gives fans the chance to own items normally unavailable to them including exclusive and rare items from their favorite Aniplex titles. Each item will only be available in limited quantities and while supplies last. This is an excellent opportunity for fans to pick up limited edition merchandise from Japan at the convenience of their home. Nico Nico Live On Air - Japan's most popular online live platform seen around the world - examined more than a 1000 of their music programs shown between January 1st 2013 - November 26th to create it's Top Ranking list for 2013. Based on viewers and comments, Nico Nico declared the exciting "X JAPAN x NICO LIVE SPECIAL 〜24 Hour Attack In Progress〜 Yoshiki Descends on Nicofarre," that aired on September 27th and 28th, the #1 program for 2013. I really need to do more of these. They don't take THAT long, after all...at least not like before when I was writing novels for a review. In any event, hopefully I can do at least one a week before I go on vacation, we have for your viewing pleasure, Aesthetica of a Rogue Hero. In this we find the tale of debauchery played straight and the cries of 2chan as their waifu grabbing breaks under the tender mercies of inherent logic. Well, perhaps not quite like that, but read on, if you want to get the jist of where I'm coming from. "Sword Art Online fone" Scheduled for a global release this December! The second release of the groundbreaking character Android Smartphone application [Anifone]. Enter the world of Aincrad on your Android Smartphone Sword Art Online, the anime title that has become a major hit not only in Japan but around the world, is now coming to the fans on the [Sword Art Online fone], an original application scheduled to be released globally in December. [Sword Art Online fone] uses the new generation [fone] interface that can fully customize existing Android Smartphones completely from the home screen to the design of the tools. Your Android Smartphone will transform into the world of Sword Art Online with one simple installation. Enjoy a whole new experience unlike any other application or game you have ever seen. Meet new friends and comrades in this virtual world, and level them up as you use your Android Smartphone every day. The Key to log out from Aincrad is in your hands! During a talk show at Anime Festival Asia 2013 in Singapore, Aniplex Inc. announced their plans of a worldwide simulcast of the special year-end program, “Sword Art Online EXTRA EDITION.” In Japan, “Sword Art Online EXTRA EDITION” is scheduled for broadcast on 12/31/2013 at 10PM (Japan Time), on TOKYO MX, BS11, and Nico Nico Douga. Fans of Sword Art Online all over the world will now be able to welcome the New Year while enjoying this special episode right alongside their fellow fans in Japan!